Unscented, odourless and fragrance free. Has all the qualities of a good massage oil, equal to or better than Almond Oil. 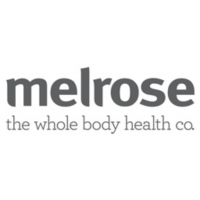 Melrose was first in Australia to develop the Water Dispersible concept that has become the most popular massage oil type. 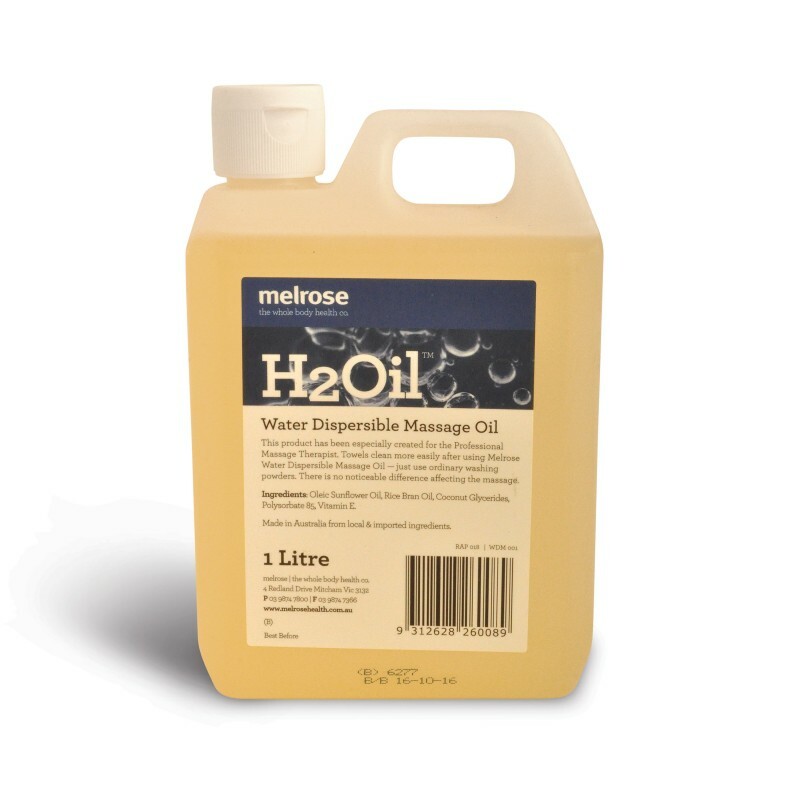 H2Oil Water Dispersible Massage Oils are popular because they not only increase the life of towels considerably but also reduce the possibility of towels catching fire in the dryer. It is a neutral unscented oil and blends well when aromatherapy is used. H2Oil® works well on 100% cotton towels and sheets provided you do not skimp on the wash detergent - you can use cold water but a warm wash is always best. Sometimes therapists leave their unwashed towels for several days and eventually when they run out of clean towels put them in the wash - you must have sufficient detergent. 1. Sheets containing polyester do not let all the oil release from the fibre. 2. If it is decided to use chlorine to sanitise the towels, they should be washed first and then use chlorine, rinse and dry - do not use chlorine first because H2Oil® and chlorine react. TIP: You can test the dispersibility of H2Oil by adding a few drops to a glass of warm water and shake – it will turn white – emulsifying the oil. Adding normal washing powder to the wash removes the massage oil from the towel.